Rolling out the big guns…. New alliances and new strategic directions are powering large-scale programs designed to bring myeloproliferative neoplasms into public awareness. Sometimes it all works. Facing new economic imperatives in a fast-evolving scientific environment, the MPN research funding warhorse, MPN Research Foundation, appears to be in the midst of radical re-definition that embraces new players and new cooperative relationships. Its clear focus – funding innovative scientific research leading to a cure for MPNs – has now widened fundamentally. In part, adopting a stronger leadership position in the MPN world reflects the new scientific complexities and harsher economic realities. Clearly the path to attract more donors, raise more capital to invest in research, runs through high-profile awareness, education and community activities. 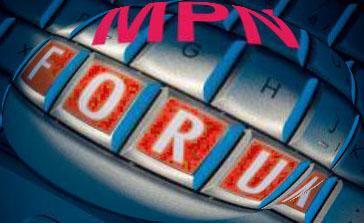 It’s a gutsy move, long needed in the MPN community. The MPN Research Foundation has always run local educational seminars. Its lead role in the MPN component of this month’s combined Blood Cancer Awareness program is different. MPNRF has now taken a giant step in the direction of public advocacy and increased patient, public and health professional education. The question: Can this small, dedicated group in Chicago expand its limited human and financial resources to pull it off without impacting its role as the primary innovative force in funding basic MPN scientific research? Multiple announcements of a Congressional proclamation designating September as Blood Cancer Awareness Month arrived in the e-mail boxes of many MPN patients in the past couple of weeks. These were joined by additional notices announcing September 20 as MF Awareness Day. MPNRF led the charge with a late August e-mail blast and a feature on its web page. Patient support e-mail lists MPD Support and MPN-NET ran the full e-mail story in their regular daily digests. Press releases from the Foundation were issued the first week of September along with another e-mail blast touting the Governor of Illinois’ Proclamation of September 20 as MF Awareness Day. Several independent September events were highlighted in the Foundation e-mail: An educational dinner for Wisconsin MF patients hosted by the Leukemia and Lymphoma Society… an on-line MF workshop by CancerCare’s Connect program funded by Incyte…the Foundation’s own Midwest Patient Symposium...and toward the end of the month the release of a Symptom Management Calendar by the MPN Coalition. Lots of activity, but when the dust settled a bit, there didn’t seem much for patients and caregivers to rally around to help spread the word. And time was too short for the MPN community to organize events leveraging the occasion. Blood Cancer Awareness Month appears to be a work in progress, an opening shot across the bow of public ignorance. A Blood Cancer Awareness month may not yet be on the official Federal calendar, but it’s clearly the historic beginning of a combined effort to get broader awareness of MPNs, public support for research and a cure for our rare blood cancers. At this stage it’s a concept and a good one that can build on the experience gained in putting it together. There’s a great and immediate need since higher awareness is likely to lead to more donations which leads to expanded funding for scientific research. The new hardball game of fund-raising for MPNs includes competition for scarce financial resources and jealous guarding of hard-won donor lists. It’s a game the big Foundations associated with common diseases and high profile personalities are good at. They’ve got the staff, infrastructure, historic event calendars, local organizations, contacts, capital and clout to make things happen. Problem is, except for the MPN Research Foundation, only an infinitesimal part of their program money goes to fund MPN scientific research. An alliance between MPN fund-raisers and larger, more broadly based Foundations funding a specific program is one possible cooperative path. The MF Challenge, a partnership between MPNRF and LLS, is a breakthrough collaboration in that direction. Another cooperative path has emerged as non-profits ally with commercial organizations. It’s the other, much bigger, source of funding for MPN drug research: Big Pharma. Cooperation between commercial firms and MPN nonprofits is nothing new. A good recent example is the 23andMe MPN genetics database (see News Briefs, this issue) project designed to facilitate drug research. This commercial enterprise built its on-line patient cohort with the help of MPN advocacy groups and nonprofits and has University scientists and clinical investigators serving as advisors. It’s a symbiotic relationship designed to yield significant results for both groups. MF Awareness Day needs the combination of Incyte and a broad coalition of MPN support organizations to succeed. Non-profits directly participating in a Big Pharma marketing initiative outside of a medical setting may be breaking new MPN ground. >>OPINION>> It’s time to recalibrate attitudes toward corporate/non-profit partnerships. By providing financial, scientific and management resources, Incyte, for example, has become vital to our community. The company may have backed into Jakafi as a therapeutic myelofibrosis agent but in recent times its investment in MF drug research and development has dwarfed the combined nonprofit and government MPN research funding. Sure, it’s profit-driven and answerable to shareholders but it has proven to be a worthy corporate ally. Tearing a page out of its playbook, adopting the same clarity of purpose and ability to execute– and tapping into its resources — could help a large-scale project like a Blood Cancer Awareness Month yield real results down the road. For example, look at the start Incyte made on MF Awareness Day. A Tale of Two Programs. September 20 is MF Awareness Day. It took some chutzpah on Incyte’s part to drive the launch of this initiative since there’s no MPN Awareness Day, no “Day” set aside for awareness of PV or ET or AML. But there are signs the concept has the beginnings of nonprofit support. A good indication of closing of the ranks could be seen in MPN Research Foundation’s work in getting the Governor of Illinois, Pat Quinn, to designate September 20 as MF Awareness Day. Even more significant is its announcement that the MPN Coalition (see below) has agreed to declare September 20, MF Awareness Day. It’s another win-win symbiotic partnership between Big Pharma and Nonprofits. 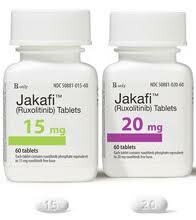 One good reason for Incyte to back an MF Awareness Day is Jakafi. The more physicians and patients aware of the nature of myelofibrosis and the need for early treatment, the more patients move into the pipeline that can lead to Jakafi. It’s a win for us. Earlier identification and treatment can lead to better patient outcomes. And for the MPN non-profits and advocacy groups, it’s a means of gaining expanded recognition for the cause. The partnership can produce an effective MF Awareness Day. Incyte has the resources to mount an action program, rapidly, and deploy it to the MPN community and wider groups. Even this year, despite severe time pressure, their marketing people produced a professional, boxed toolkit for volunteers. 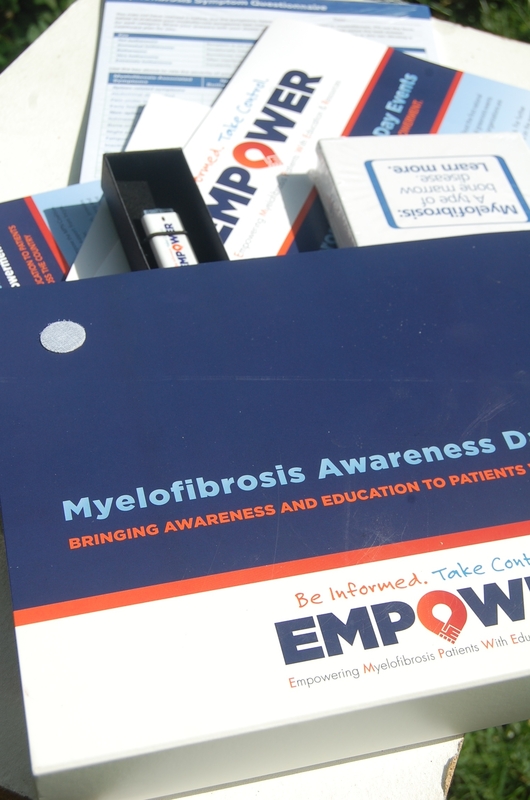 Under the EMPOWER logotype, its Myelofibrosis Awareness Day package includes a poster for the hematology treatment room, full color rack brochures for patients, a plan of action, a jumpdrive with reproducible documents local organizers can use, and giveaways like patient symptom calendars and Jakafi-colored embossed bracelets. There’s a website devoted to the MF Awareness program here. What’s missing are significant MF events scheduled for September 20 itself. It’s an impressive effort, but the tight schedule — likely built around Blood Cancer Awareness Month planning — presents some severe challenges to short-term success. With September 20 just a few days off, there really isn’t much time to advance public awareness of MF. But, like Blood Cancer Awareness Month itself, MF Awareness Day has made a beginning. “Incyte is in this for the long-term,” says Incyte VP, Pam Murphy. 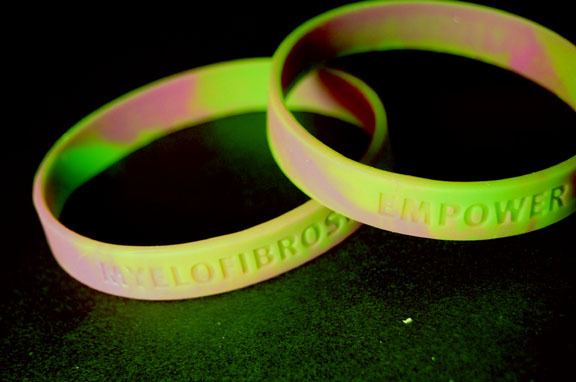 Whether or not non-profit and advocacy organizations will continue to support MF Awareness Day and make it their own — or ultimately write it off as a commercial marketing ploy — will determine how effective it can be. One key to success might well be The MPN Coalition. The MPN Coalition, chaired by the MPN Research Foundation’s Ann Brazeau, includes women representing the MPN Education Foundation, CancerCare, Cancer Support Community, The Leukemia & Lymphoma Society, and the National Organization for Rare Disorders.. Considering the intense competition for donor dollars, the MPN Coalition has the potential to be a very big deal indeed. The very fact that a group of powerful organizations with a stake in MPN research funding can come together and attempt to work out a cooperative charter is one major achievement. Thanks for sharing these new collaborations around MPNs. It is great to hear that Incyte showed leadership and works with the MPN advocate leaders to formally build an awareness campaign. MF certainly is the compelling disease to initiate action. Kudos to MPNRF and LLS for collaborating, too! It’s not always easy for nonprofits to do, even when both parties agree the concept is sound. Rather than split the pie into smaller pieces, collaboration can actually make more pies! Before I became ill with PV (I’m one of those whose quality of life is greatly diminished by PV), I ran a nonprofit housing organization. To achieve our mission at a respectable scale, we HAD to partner with for-profit companies in the housing industry (e.g., banks, mortgage companies, developers, insurance companies). Some housing advocates criticize us for taking “blood money” (ironic term to me now) or “selling out” to “the man.” Yet they weren’t able to provide other resources to get the work done. The key to successful collaboration is to maintain focus on common interests and share strengths. We didn’t sell out our brand and we didn’t commit to more outcomes than they were willing to fund. Their resources were going to be used somewhere by somebody, so why not us? A surprising benefit from cross-sector collaborations is the real learning and relationship-building that occurs. The “corporate” folks see our cause in real, human terms (turn statistics back into people). The nonprofit folks recognize that there are formal and informal types of influence that can be leveraged for good. Since we are each more than our illness or occupation, these exchanges often trigger connections that could not be anticipated and yield surprising and great results. I remain filled with gratitude for every person who dedicates their career, time, energy, and money to any facet of MPN science, treatment, and support. We have a long way to go before MPNs are over-marketed like the pink ribbon crowd. Here’s to a bright future for MPNers! I’m kind of amazed this is the first I’m hearing about this Midwest Symposium, and really frustrated that I’m nearby but can’t change my schedule to go. Argh. For all the lists I’m on, all the Facebook pages – nobody said a damn thing about this! Or did I miss it the posting somehow? What’s the deal here? Our communication as a community is awful -we are all in different silos, not talking to each other. Double argh.